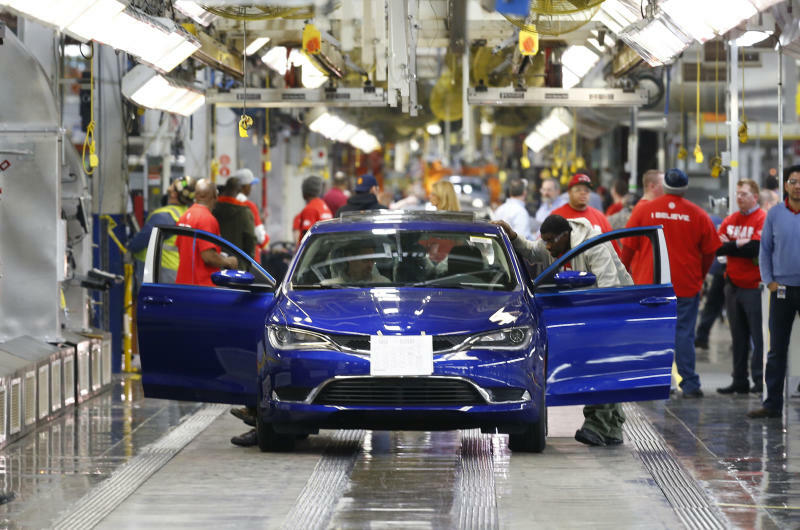 DETROIT (AP) -- Chrysler's U.S. sales jumped 17 percent in May, a month when car buyers who stayed home during the rough winter were expected to return to showrooms. Chrysler sales were boosted by strong demand for the new Jeep Cherokee small SUV. Automakers report sales for May throughout the day. All but Volkswagen are expected to post increases, according to the Edmunds.com auto website. Analysts say that buyers who stayed away from car dealerships during the winter came out in May, and likely pushed U.S. sales to their highest level in seven years. Analysts expect the industry to post annual sales of more than 16 million for the first time since 2007. But January and February sales were weaker than expected as consumers spent more time shoveling snow than shopping.